A Frenchman who is attempting to cross the Atlantic Ocean in a barrel celebrated his 72nd birthday on Monday. Jean-Jacques Savin, a former French military paratrooper, told Euronews he marked his special day in true French style with foie gras, a bottle of white wine from Sauternes, in Southwestern France, and some of his favourite chocolate. Speaking via a crackling satellite phone, the septuagenarian sounded in high spirits and explained his birthday kicked off with a storm that sounded like he was "inside a washing machine", but this later cleared. He had a positive message for his followers: "I'm doing well in the middle of this ocean, which is magnificent." Savin took three presents on his voyage and had received 20 birthday messages that he said he was making his way through. He set off from the Canary Islands at the end of December 2018 and is still level with the archipelago after finding himself stuck in the same position for 19 days. His progress can be tracked here. During his journey, Savin will live in a specially-designed barrel. The capsule is three metres long and 2.10 metres wide and contains a kitchen, sleeping bunk and storage. Video of Savin giving a tour of the vessel can be viewed in the above video player. He has previously sailed the journey four times but never driven by water currents alone. 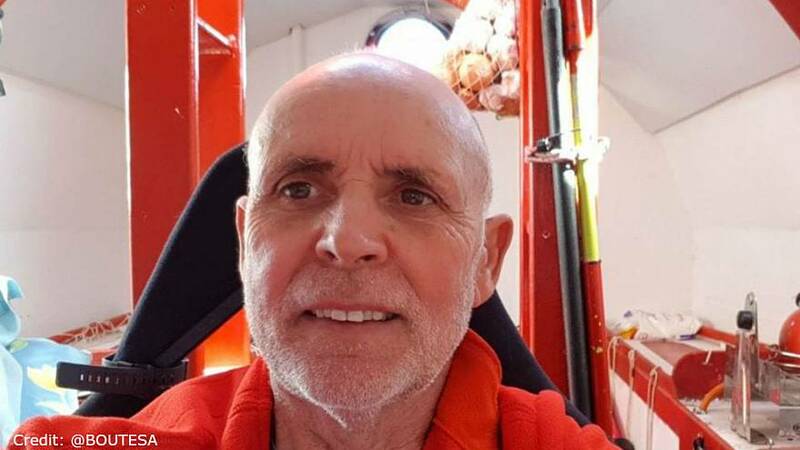 The 72-year-old aims to dock at the end of April, but he is 15 days behind his planned schedule. Savin said the location where he will make landfall is a "complete surprise." "I hope I'll land in Guadeloupe or Martinique, for administrative reasons and I've got friends who will be waiting for me there," he added. Why is he undertaking such a feat? "I fancied going away and letting myself be taken by the currents, being a passenger of the ocean," he said. Savin crowdfunded €10,000 of the €60,000 budget for his epic voyage, which should take him 4,506 kilometres across the globe. The journey is being documented on his Facebook page where his team posts regular updates to over 10,000 fans.